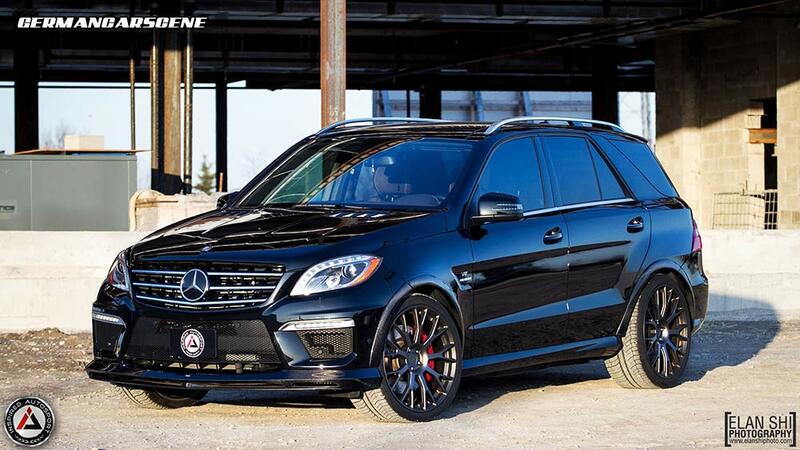 Inspired Autosport has teamed up with its partners at Vancouver-based styling specialist SR Auto Group to create the Mercedes ML 63 AMG in front of you. Visually, the SUV wears components from RevoZport’s carbon fibre Rezonance body program, including the twin-deck carbon fibre front splitter, 30 mm wheel arch extensions and finned diffuser section. Completing the look is a set of matte black PUR 2WO Monoblock wheels, which measure 10.5 x 22-inches. German tuning specialist Inside Performance has revealed its Stealth program based on the mighty BMW X6 M.
Underneath the hood, IP fits a full stainless steel exhaust system including manifolds and 200 cell catalytic converters, along with its remapped ECU software. Those tweaks see output from the 4.4-litre biturbo V8 powerplant rise from 408 kW (555 hp) and 680 Nm of torque to 522 kW (700 hp) and 850 Nm. The speed limiter was also disabled. 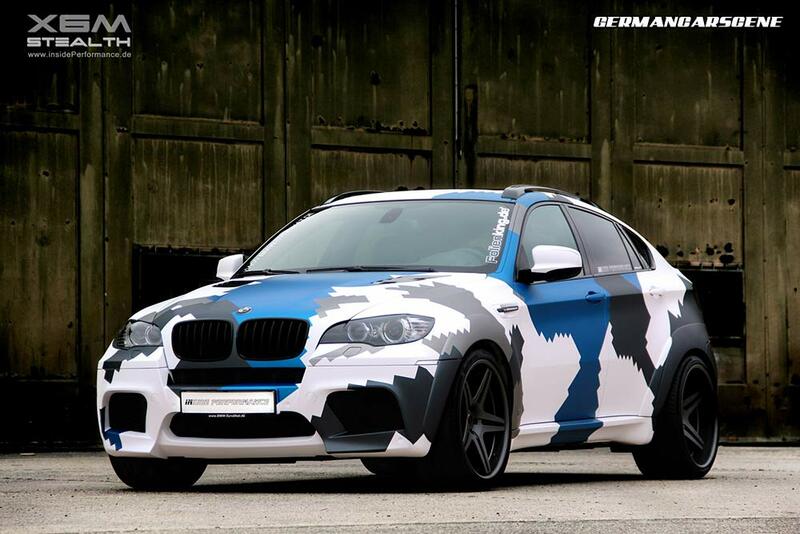 Visually, the SUV wears a pixelated camouflage foil wrap, an AC Schnitzer wide-track body package adding 4-inches to the vehicle’s width, twin bonnet vents and matte black 22-inch Vorsteiner wheels wrapped in 295/30 and 335/25 rubber. The factory suspension has been replaced by an adjustable coilover kit from KW Automotive, while the interior gains a digital display to monitor such conditions as temperatures and boost pressure. 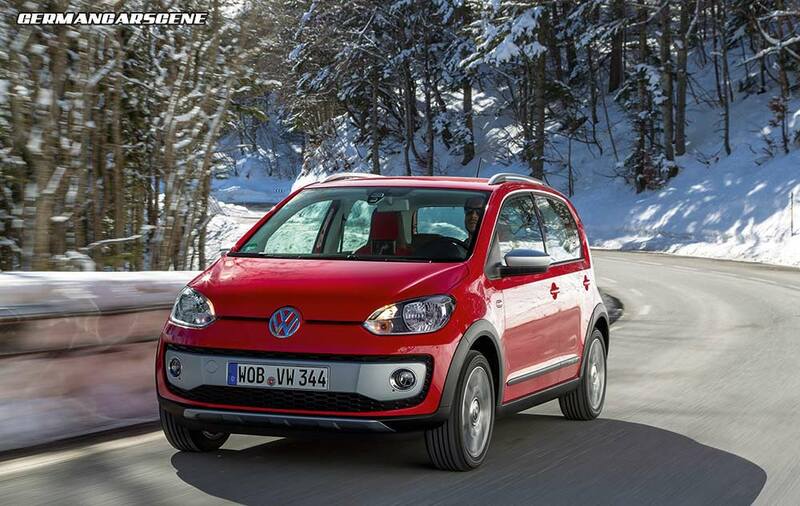 Volkswagen has announced that the order book has been opened for its cheeky cross up! model. With a 15 mm raised ride height, black wheel arch extensions and panelling along the flanks, the five-door cross up! wears silver roof rails, mirror casings and bumpers sections, while the 16-inch five-double-spoke alloy wheels are also exclusive to this variant. Moving inside, past the embossed sill plates, customers can choose between red or grey seats in a special trim, with the dashpad available in red, black or dark silver. The steering wheel and handbrake handle are covered in leather, while the air vents and speedometer wear chrome surrounds. Standard equipment consists of Electronic Stability Control (ESC), fog lamps, electric front windows and mirrors, remote control central locking, a tachometer and multifunction display. Propelled by the 55 kW (75 hp) three-cylinder petrol engine mated to a 5-speed manual gearbox, pricing in Germany starts at €13,950. 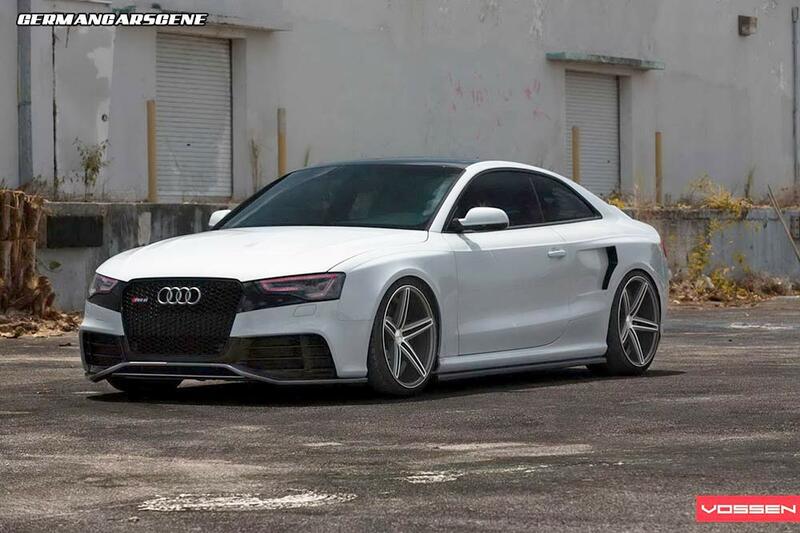 The guys over at OSS Design have joined forces with Vossen Wheels to turn this Audi RS 5 Coupe into what it calls the Pissed off Stormtrooper. Along with friends at Protech Bodywerks, OSS has changed the radiator grille and upper fascia to gloss black, modified the bonnet, fitted custom side skirts and aggressive rear quarter panels – complete with air intakes (? ), added a new rear bumper with air outlets and diffuser, and a ducktail spoiler for the boot lid. The company also applied its trademark colour-changing LED headlights. Completing the look is a set of Vossen’s VVS-CV5 Concave wheels, which measure 10.5 x 20-inches and come finished in matte graphite with a machined face. Those intakes might come in handy if you had a crate of lemonade in the boot that would benefit from a blast of cold air on the way to a barbecue. Otherwise this is the automotive equivalent of performing surgery on Megan Fox to make her look like Joan Rivers. Here’s a short video from NM2255 featuring Sebastien Loeb testing Porsche’s new 991 GT3 Cup car at a wet Monza circuit. Piloting the number 88 car here, the nine-time World Rally champion is only taking part in four WRC events this year as he continues his ventures into other areas of motorsport. In the last twelve months he has competed in the French GT Championship, the French Carrera Cup and also launched Sebastien Loeb Racing which competes in FFSA GT and the European Le Mans Series. And, if that’s not enough, he will also be climbing Pikes Peak in June. Based on the 991 GT3 model, the Cup version is powered by a naturally aspirated 3.8-litre flat-six engine, developing 338 kW (460 hp), a 7 kW (10 hp) improvement over its predecessor. The latest video from Autocar sees the magazine’s Steve Sutcliffe compare Jaguar’s pretty F-Type model with its main rival, the Porsche 911 Cabriolet. Propelled by a 257 kW (350 hp) 3.4-litre flat-six powerplant, the Carrera Cabriolet can crack 100 km/h in 4.4 seconds and achieve a top speed of (285 km/h) 177 mph, while its lardier British rival uses a 283 kW (380 hp) supercharged 3.0-litre V6 unit to hit 100 km/h in 4.9s and a 275 km/h maximum of (171 mph).